So finding a truly healthy pasta dish or side can be really hard when dieting and trying to eat healthier. 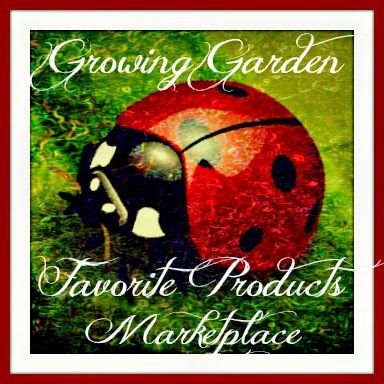 Those store bought whole wheat pasta's are still not great for you in large quantities. I may not come from an Italian family, but I sure eat like I do as I love large family meals especially when it involves pasta of any kind. 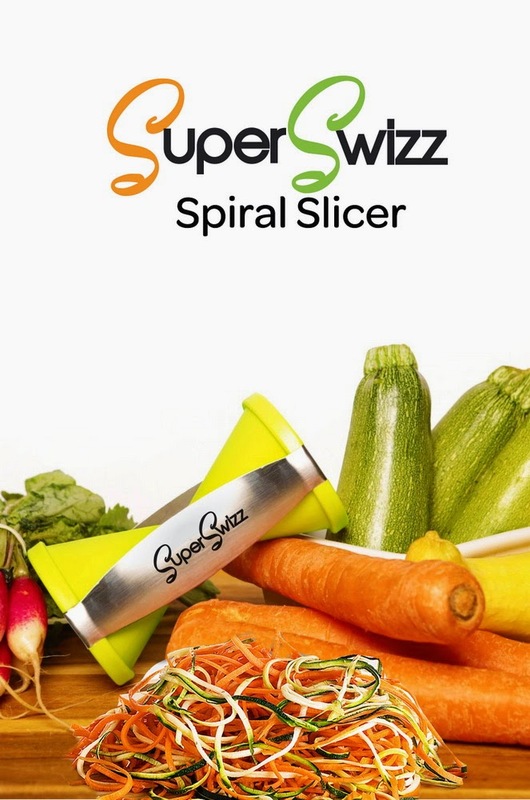 I was excited when I came across something called the SuperSwizz Spiral Slicer. Not only is this supposed to be a really healthy alternative for most people looking to reduce their calories but it is also supposed to be a super fun way to prepare foods in a decorative way. 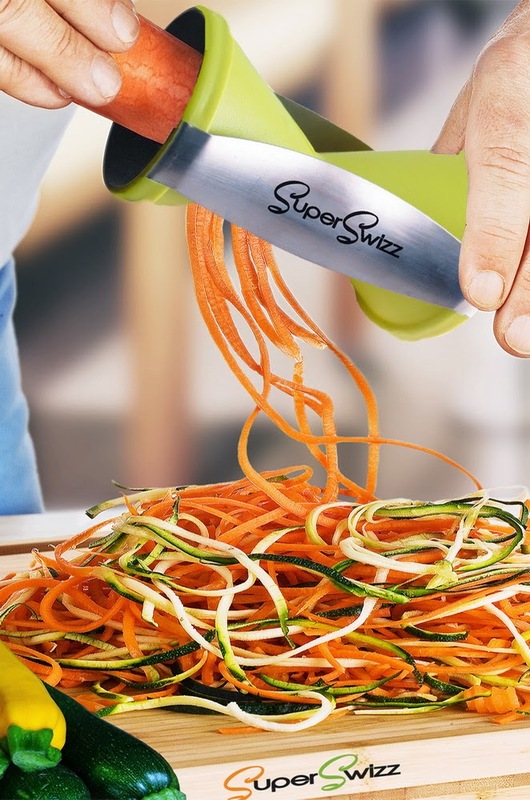 The SuperSwizz Spiral Slicer should work in a similar concept to that of a pencil sharpener where as you turn the vegetable, pieces come out the other end. 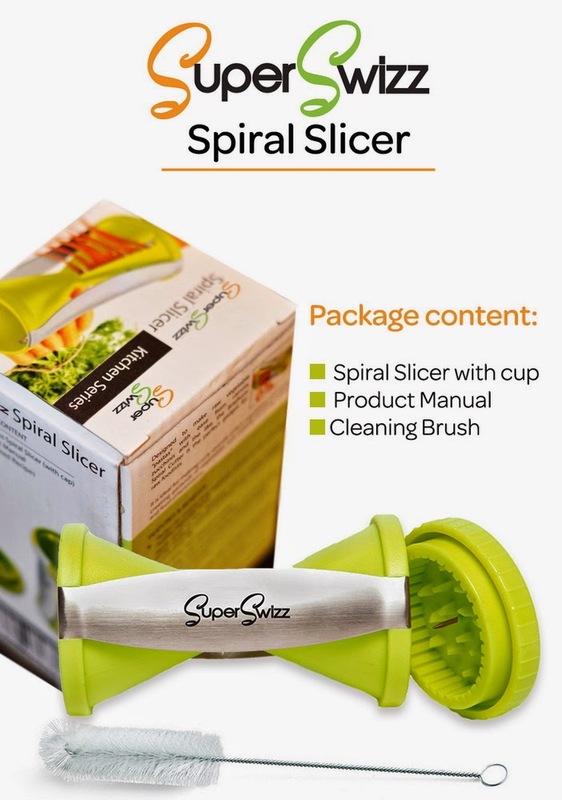 When the spiral slicer showed up and I was super excited to try it. I have to say I was a bit disappointed with the quality right away as the pictures display something completely different looking in my opinion. It honestly looked as if it was going to break down the first time I used it on something not to mention just by opening the box. 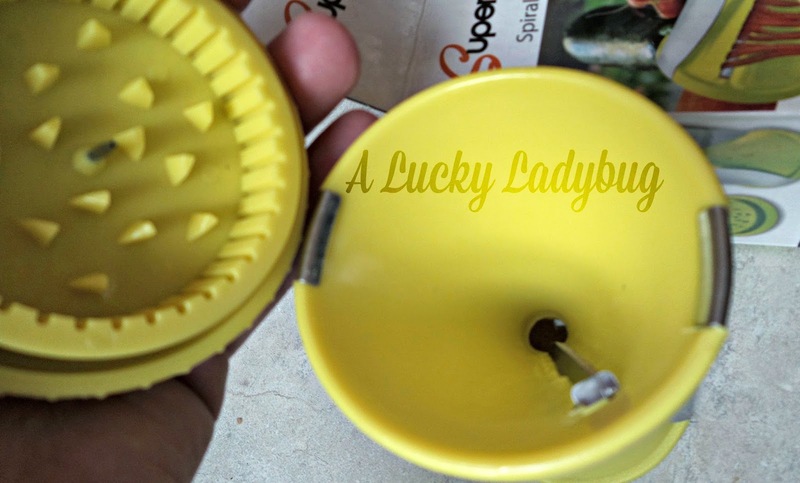 This tiny gadget is made of stainless steel blades and a plastic dishwasher safe body. It is made to create two sizes of Julienne julienne strips - 2x3 mm and 3.5x5 mm. With hesitation, I first gave this a try on carrots which are my absolute favorite. I ended up with an epic fail and a mashed up carrot. Next, I attempted potatoes which was a complete joke since the plastic grips do NOT actually hold it in place efficiently and potatoes are just too hard to slice in this manner without a professional grade tool. 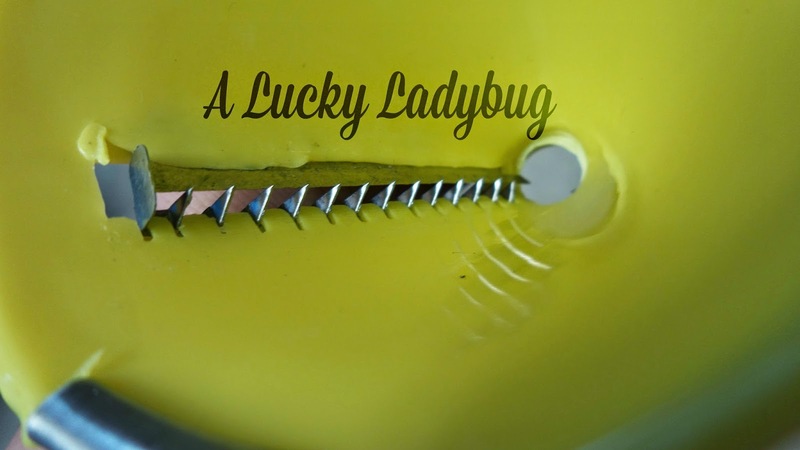 Recommendation: I am super bummed about this one as I had actually been trying to get something like this for quite a while. The quality was poor and not worth what is being charged this price. I would expect it to be more along the lines of $5.